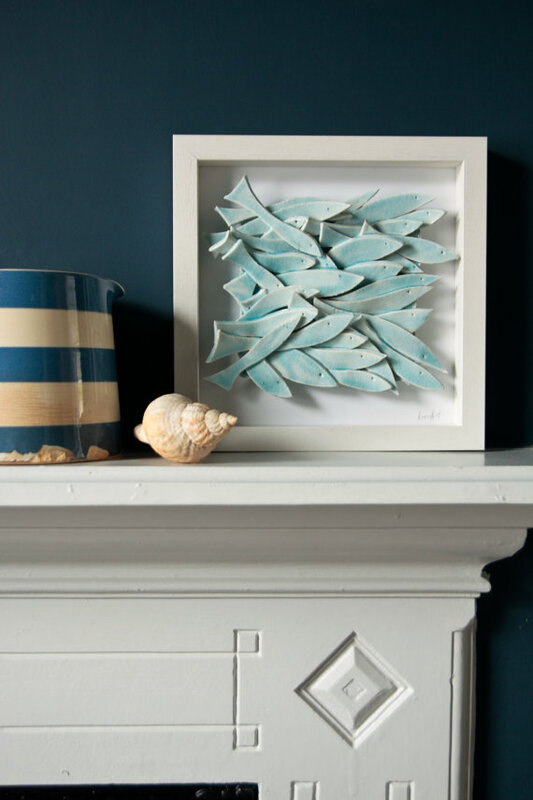 Ceramic art tile framed in simple white shadow frame. May be slightly different from piece shown as all are unique pieces. this artwork makes a beautiful birthday gift (especially for Pisces), anniversary, wedding or engagement present; it would be a great decoration for a house on a shore of a sea or lake.